Moreover, I noted the similarity is not only structural. There is more to it: both equations model energy flows and/or densities. Look at it: the dimension of the left- and right-hand side of Schrödinger’s equation is the energy dimension: both quantities are expressed in joule. [Remember: a time derivative is a quantity expressed per second, and the dimension of Planck’s constant is the joule·second. 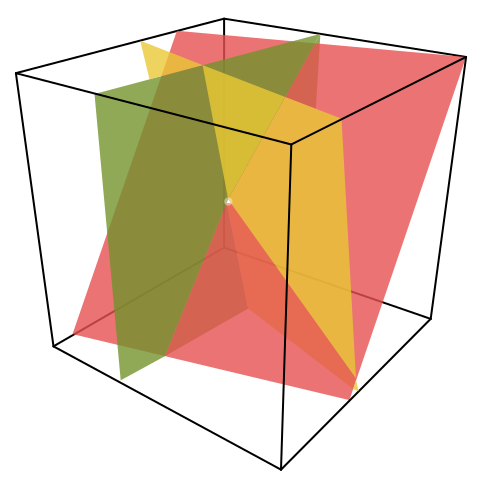 You can figure out the dimension of the right-hand side yourself.] Now, the time derivative on the left-hand side is expressed in K/s. The constant in front (k) is just the (volume) heat capacity of the substance, which is expressed in J/(m3·K). So the dimension of k·(∂T/∂t) is J/(m3·s). On the right-hand side we have that Laplacian, whose dimension is K/m2, multiplied by the thermal conductivity, whose dimension is W/(m·K) = J/(m·s·K). 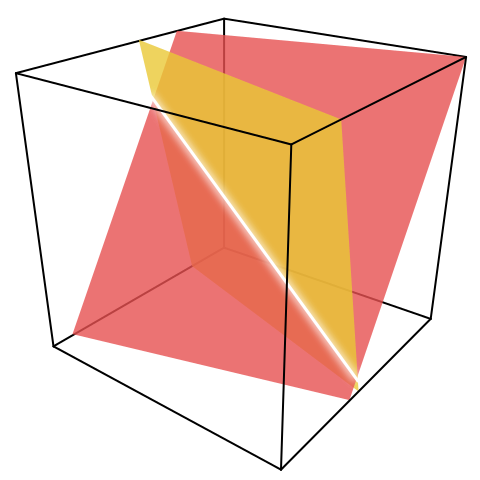 Hence, the dimension of the product is the same as the left-hand side: J/(m3·s). We can present the thing in various ways: if we bring k to the other side, then we’ve got something expressed per second on the left-hand side, and something expressed per square meter on the right-hand side—but the k/κ factor makes it alright. The point is: both Schrödinger’s equation as well as the diffusion equation are actually an expression of the energy conservation law. They’re both expressions of Gauss’ flux theorem (but in differential form, rather than in integral form) which, as you know, pops up everywhere when talking energy conservation. This immediately triggers the following reflection: if there’s a ‘Poynting vector’ for heat flow (h), and for the energy of fields (S), then there must be some kind of ‘Poynting vector’ for amplitudes too! I don’t know which one, but it must exist! And it’s going to be some complex vector, no doubt! But it should be out there. It also makes me think of a point I’ve made a couple of times already—about the similarity between the E and B vectors that characterize the traveling electromagnetic field, and the real and imaginary part of the traveling amplitude. Indeed, the similarity between the two illustrations below cannot be a coincidence. In both cases, we’ve got two oscillating magnitudes that are orthogonal to each other, always. As such, they’re not independent: one follows the other, or vice versa. Oh – and, as for those two illustrations above, the animation below is one that should help you to think things through. It’s the electric field vector of a traveling circularly polarized electromagnetic wave, as opposed to the linearly polarized light that was illustrated above. 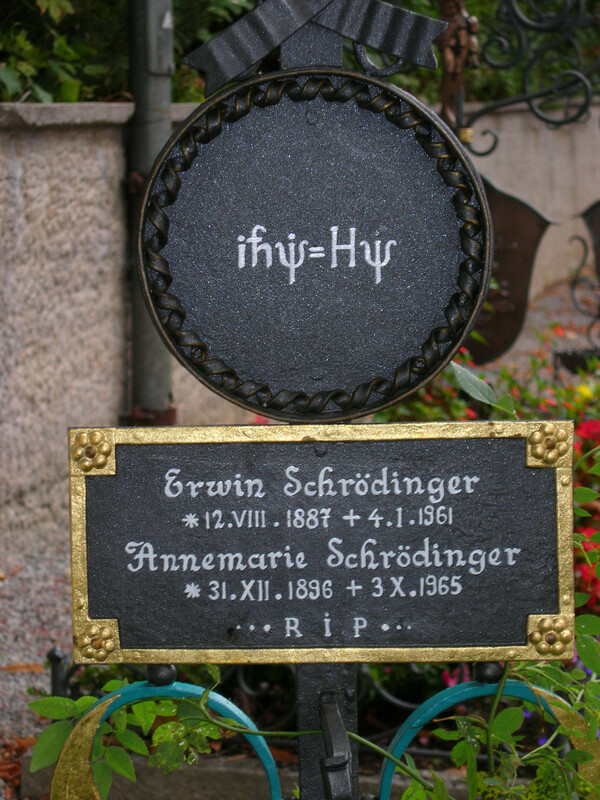 In my previous post, I showed how Feynman derives Schrödinger’s equation using a historical and, therefore, quite intuitive approach. The approach was intuitive because the argument used a discrete model, so that’s stuff we are well acquainted with—like a crystal lattice, for example. However, now we’re now going to think continuity from the start. Let’s first see what changes in terms of notation. Our C(xn, t) = 〈xn|ψ〉 now becomes C(x) = 〈x|ψ〉. This notation does not explicitly show the time dependence but then you know amplitudes like this do vary in space as well as in time. Having said that, the analysis below focuses mainly on their behavior in space, so it does make sense to not explicitly mention the time variable. It’s the usual trick: we look at how stuff behaves in space or, alternatively, in time. So we temporarily ‘forget’ about the other variable. That’s just how we work: it’s hard for our mind to think about these wavefunctions in both dimensions simultaneously although, ideally, we should do that. For example, if φ(x) = 〈x|φ〉 is equal to a simple exponential, so we can write φ(x) = a·e−iθ, then φ*(x) = 〈φ|x〉 = a·e+iθ. 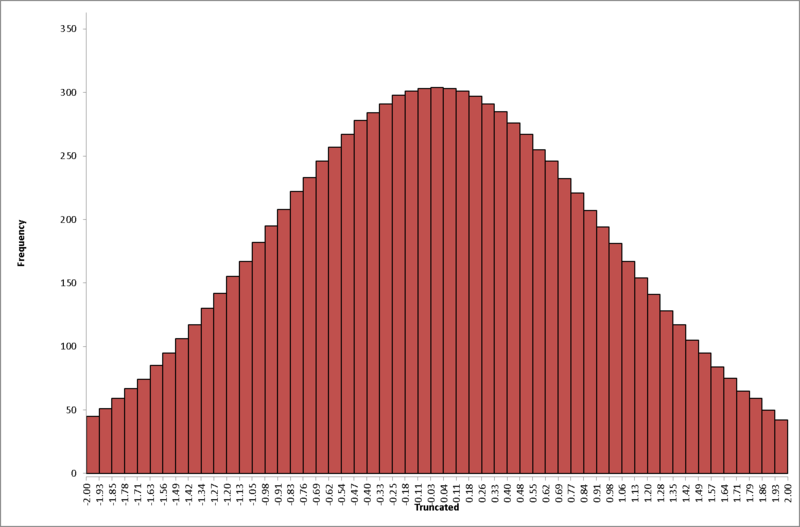 So that’s just the normal distribution for μ = 0, as illustrated below. Just for the record, Feynman refers to η and σ as the ‘half-width’ of the respective distributions. Mathematicians would say they’re the standard deviation. The concept are nearly the same, but not quite. In any case, that’s another thing I’ll let you find our for yourself. 🙂 The point is: η and σ are inversely proportional to each other, and the constant of proportionality is equal to ħ/2. Is that compatible with the title of this post? Solid-state physics? Solid-state stuff doesn’t move, does it? Well… No. But what we’re going to look at is how an electron travels through a solid crystal or, more generally, how an atomic excitation can travel through. 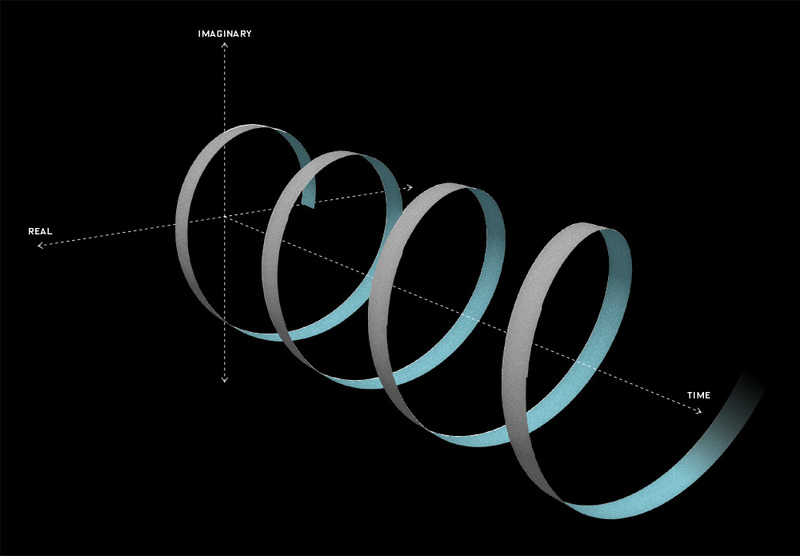 In fact, what we’re really going to look at is how the wavefunction itself travels through space. However, that’s a rather bold statement, and so you should just read this post and judge for yourself. To be specific, we’re going to look at what happens in semiconductor material, like the silicon that’s used in microelectronic components like transistors and integrated circuits (ICs). You surely know the classical idea of that, which involves imagining an electron can be situated in a kind of ‘pit’ at one particular atom (or an electron hole, as it’s usually referred to), and it just moves from pit to pit. The Wikipedia article on it defines an electron hole as follows: an electron hole is the absence of an electron from a full valence band: the concept is used to conceptualize the interactions of the electrons within a nearly full system, i.e. a system which is missing just a few electrons. But here we’re going to forget about the classical picture. We’ll try to model it using the wavefunction concept. So how does that work? Feynman approaches it as follows. If we look at a (one-dimensional) line of atoms – we can extend to a two- and three-dimensional analysis later – we may define an infinite number of base states for the extra electron that we think of as moving through the crystal. If the electron is with the n-th atom, then we’ll say it’s in a base state which we shall write as |n〉. Likewise, if it’s at atom n+1 or n−1, then we’ll associate that with base state |n+1〉 and |n−1〉 respectively. That’s what visualized below, and you should just along with the story here: don’t think classically, i.e. in terms of the electron is either here or, else, somewhere else. No. It’s got an amplitude to be anywhere. If you can’t take that… Well… I am sorry but that’s what QM is all about! −(i/ħ)·E0 is the amplitude for the electron to just stay where it is, so we multiply that with the amplitude of the electron to be there at that time, i.e. the amplitude Cn(t), and bingo! That’s the first contribution to the time rate of change of the Cn amplitude (i.e. dCn/dt). [Note that all I brought that iħ factor in front to the other side: 1/(iħ) = −(i/ħ).] Of course, you also need to know what E0 is now: that’s just the (average) energy of our electron. So it’s really like the E0 of our ammonia molecule—or the average energy of any two-state system, really. −(i/ħ)·(−A) = i·A/ħ is the amplitude to go from one base state to another, i.e. from |n+1〉 to |n〉, for example. In fact, the second term models exactly that: i·A/ħ times the amplitude to be in state |n+1〉 is the second contribution to to the time rate of change of the Cn amplitude. Finally, the electron may also be in state |n−1〉 and go to |n〉 from there, so i·A/ħ times the amplitude to be in state |n−1〉 is yet another contribution to to the time rate of change of the Cn amplitude. [Just do that derivative, and you’ll see the iħ can be scrapped. Also, the exponentials on both sides of the equation cancel each other out.] Now, that doesn’t look too bad, and we can also write it as (E − E0)·an = − A(an+1 + an−1 ), but… Well… What’s the next step? We’ve got an infinite number of coefficients an here, so we can’t use the usual methods to solve this set of equations. Feynman tries something completely different here. It looks weird but… Well… He gets a sensible result, so… Well… Let’s go for it. Huh? Why? And what’s k? Be patient. Just go along with this for a while. Let’s first do a graph. Think of xn as a nearly continuous variable representing position in space. We then know that this parameter k is then equal to the spatial frequency of our wavefunction: larger values for k give the wavefunction a higher density in space, as shown below. You have enough experience now to sort of visualize what happens here. We can look at a certain xn value – read: a certain position in the lattice and watch, as time goes by, how the real and imaginary part of our little Cn wavefunction varies sinusoidally. We can also do it the other way around, and take a snapshot of the lattice at a certain point in time, and then we see how the amplitudes vary from point to point. That’s easy enough. The thing is: we’re interested in probabilities in the end, and our wavefunction does not satisfy us in that regard: if we take the absolute square, its phase vanishes, and so we get the same probability everywhere! [Note that we didn’t normalize our wavefunctions here. It doesn’t matter. We can always do that later.] Now that’s not great. So what can we do about that? Now that’s where that k comes back in the game. Let’s have a look. We’d like to find a solution which sort of ‘localizes’ our electron in space. Now, we know that we can do, in general, by superposing wavefunctions having different frequencies. There are a number of ways to go about, but the general idea is illustrated below. The first animation (for which credit must go to Wikipedia once more) is, obviously, the most sophisticated one. It shows how a new function – in red, and denoted by s6(x) – is constructed by summing six sine functions of different amplitudes and with harmonically related frequencies. This particular sum is referred to as a Fourier series, and the so-called Fourier transform, i.e. 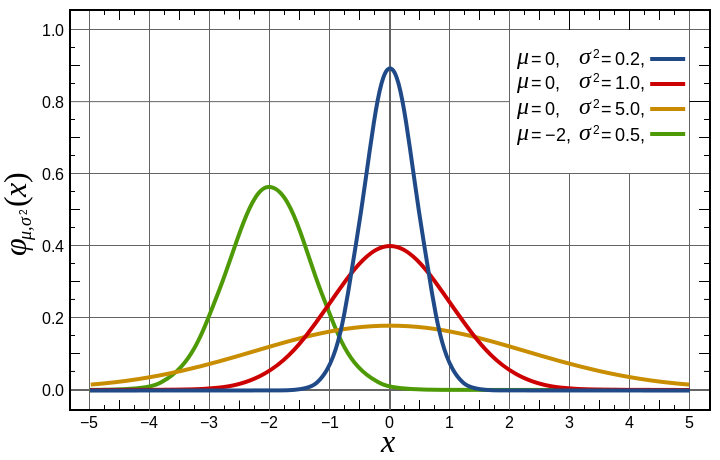 the S(f) function (in blue), depicts the six frequencies and their amplitudes. Unsurprisingly, we find that the value of meff is inversely proportional to A. It’s usually stated in units of the true mass of the electron, i.e. its mass in free space (me ≈ 9.11×10−31 kg) and, in these units, it’s usually in the range of 0.01 to 10. You’ll say: 0.01, i.e. one percent of its actual mass? Yes. An electron may travel more freely in matter than it does in free space. 🙂 That’s weird but… Well… Quantum mechanics is weird. If there are two magnets near each other with magnetic moments μe and μp, the mutual energy will depend on μe·μp = |μe||μp|cosα = μeμpcosα — among other things. Now, the classical thing that we call μe or μp appears in quantum mechanics as μeσe and μpσp respectively (where μp is the magnetic moment of the proton, which is about 1000 times smaller than μe, and has the opposite sign). So the H = Aσe·σp equation says that the interaction energy is like the interaction between two magnets—only not quite, because the interaction of the two magnets depends on the radial distance between them. But the equation could be—and, in fact, is—some kind of an average interaction. The electron is moving all around inside the atom, and our Hamiltonian gives only the average interaction energy. All it says is that for a prescribed arrangement in space for the electron and proton there is an energy proportional to the cosine of the angle between the two magnetic moments, speaking classically. Such a classical qualitative picture may help you to understand where the H = Aσe·σp equation comes from. Classically, the energy of the electron and the proton together, would be the sum of the two, and that works also quantum mechanically. 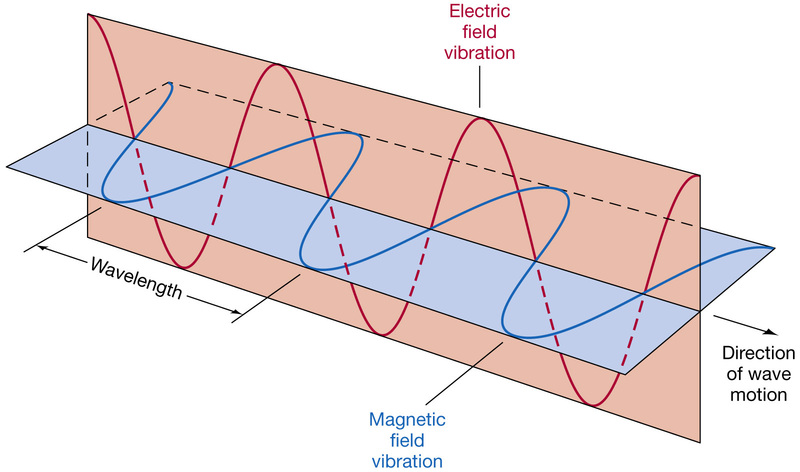 In a magnetic field, the energy of interaction due to the magnetic field is just the sum of the energy of interaction of the electron with the external field, and of the proton with the field—both expressed in terms of the sigma operators. In quantum mechanics these terms are not really the energies, but thinking of the classical formulas for the energy is a way of remembering the rules for writing down the Hamiltonian. We then have the EIII and EIV curves, which start out horizontally, to then curve and approach straight lines for large B, with slopes equal to μ’. The curves show the Zeeman splitting of the ground state of hydrogen. When there is no magnetic field, we get just one spectral line from the hyperfine structure of hydrogen. 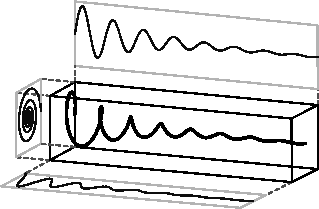 The transitions between state IV and any one of the others occurs with the absorption or emission of a photon whose (angular) frequency is 1/ħ times the energy difference 4A. [See my previous post for the calculation.] However, when the atom is in a magnetic field B, there are many more lines, and there can be transitions between any two of the four states. So if we have atoms in all four states, energy can be absorbed—or emitted—in any one of the six transitions shown by the vertical arrows in the illustration above. The transitions will occur if you apply a small disturbing magnetic field that varies with time (in addition to the steady strong field B). It’s just as we saw for a varying electric field on the ammonia molecule. Only here, it is the magnetic field which couples with the magnetic moments and does the trick. But the theory follows through in the same way that we worked it out for the ammonia. The theory is the simplest if you take a perturbing magnetic field that rotates in the xy-plane—although any horizontal oscillating field will do. When you put in this perturbing field as an additional term in the Hamiltonian, you get solutions in which the amplitudes vary with time—as we found for the ammonia molecule. So you can calculate easily and accurately the probability of a transition from one state to another. And you find that it all agrees with experiment. I agree: this is probably the most boring title of a post ever. However, it should be interesting, as we’re going to apply what we’ve learned so far – i.e. the quantum-mechanical model of two-state systems – to a much more complicated problem—the solution of which can then be generalized to describe even more complicated situations. Two spin-1/2 particles? Let’s recall the most obvious example. In the ground state of a hydrogen atom (H), we have one electron that’s bound to one proton. The electron occupies the lowest energy state in its ground state, which – as Feynman shows in one of his first quantum-mechanical calculations – is equal to −13.6 eV. More or less, that is. 🙂 You’ll remember the reason for the minus sign: the electron has more energy when it’s unbound, which it releases as radiation when it joins an ionized hydrogen atom or, to put it simply, when a proton and an electron come together. In-between being bound and unbound, there are other discrete energy states – illustrated below – and we’ll learn how to describe the patterns of motion of the electron in each of those states soon enough. Not in this post, however. 😦 In this post, we want to focus on the ground state only. Why? Just because. That’s today’s topic. 🙂 The proton and the electron can be in either of two spin states. 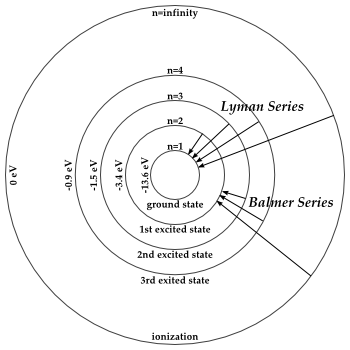 As a result, the so-called ground state is not really a single definite-energy state. The spin states cause the so-called hyperfine structure in the energy levels: it splits them into several nearly equal energy levels, so that’s what referred to as hyperfine splitting. The simplification is huge. As you know, the spin of electrically charged elementary particles is related to their motion in space, but so we don’t care about exact spatial relationships here: the direction of spin can be in any direction, but all that matters here is the relative orientation, and so all is simplified to some direction as defined by the proton and the electron itself. Full stop. So the difference in energy levels is measured in ten-millionths of an electron-volt and, hence, the hyperfine splitting is really hyper-fine. The question is: how do we get these values? So that is what this post is about. Let’s start by reminding ourselves of what we learned so far. So far, so good—but this does not solve our problem: how do we find the Hamiltonian for this four-state system? What is it? You’ll remember that expression – which we further abbreviated, even more elegantly, to H = −μσ·B – covered all two-state systems involving a magnetic moment in a magnetic field. In fact, you’ll remember we could actually easily adapt the model to cover two-state systems in electric fields as well. In short, these sigma matrices made our life very easy—as they covered a whole range of two-state models. So… Well… To make a long story short, what we want to do here is find some similar sigma matrices for four-state problems. So… Well… Let’s do that. You need to read this carefully. What it says that the σz matrix, as an operator, acting on the ‘up’ base state, yields the same base state (i.e. ‘up’), and that the same operator, acting on the ‘down’ state, gives us the same but with a minus sign in front. Likewise, the σy matrix operating on the ‘up’ and ‘down’ states respectively, will give us i·|down〉 and −i·|up〉 respectively. So… Well… So far so good. We’ve got the Hamiltonian. That’s all we wanted, actually. But, now that we have come so far, let’s write it all out now. But – Hey! Look at the symmetry between the first and last equation! Done! Four energy levels En (n = I, II, III, IV), and four associated energy state vectors – |n〉 – that describe their configuration (and which, as Feynman puts it, have the time dependence “factored out”). Perfect! Bingo! If f = ω/2π = (4A/ħ)/2π = 1,420,405,751.8 Hz, then A = f·2π·ħ/4 ≈ 9.23×10−6 eV. So… Well… We’re done! I’ll see you tomorrow. 🙂 Tomorrow, we’re going to look at what happens when space is not symmetric, i.e. when we would have some external field! C u ! Cheers !